Stewart Williams Company has everything to make your house a home. Visit the showroom located on 801 Memorial Blvd. in Springfield , Tennessee. 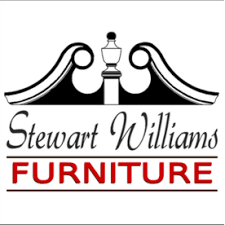 Stewart Williams Furniture Company believes in the home and furnishing it with both quality furniture and appliances which all of which makes one’s house a home. Both KPGFootball and the Stewart Williams Furniture Company wants to make the dreams and aspirations of the young athletes in and around Robertson County come true. After all, Robertson County has supported Stewart Williams all these years. 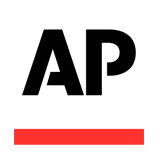 That is why, when the opportunity presented to partner with KPGFootball to promote area, young football players in the hopes their athletic achievements would net, for their families and them, a college education and a better life, Stewart Williams said, count on us. The sixty-four dollar question around the Yellow-Jacket program is who is going to fill Dayron “Fat-cat” Johnson’s role for the 2019 Springfield High School’s football team? As you may or may not recall, Johnson made plays for the Jackets on offense, defense, and in special teams where he flipped the script on more than just a few opponents through the years. Johnson, whose nickname was changed by us to Phat-cat, was a one-stop-shop for both points and plays. Well, that explains why he will be playing Division-I college football next year, huh? Obviously, no one will fill those shoes, maybe ever, but certainly not next year. However, one has to like the physical and athletic play-making similarities between the Fat-cat and freshman Ze’Rel Boyd. 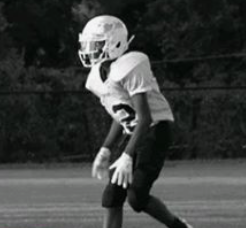 Boyd, who mostly plied his wares at the JV and freshman levels, demonstrated big-play ability down the field on vertical routes as a receiver, in the punt and kick-return game, and making plays as a third-level defender. Much like Johnson before him, Boyd appears to be able to make plays from anywhere on the field. Congratulations, to Ze’Rel Boyd for being selected this week’s Stewart Williams Furniture Company’s Robertson County Player of the Week. Join us next week as we anoint a new recipient. Reporting for KPGFootball, this is Fletcher Long reminding all of you ballers out there that #WeGotUCovered and to PLAY THROUGH THE WHISTLE.